Did you Ever want Super Powers? As a kid every one wants to have some sort of special power right? Well Leonardo de Vinci made that those ideas possible. 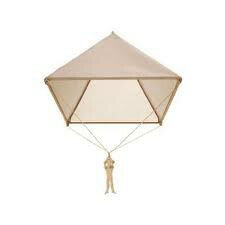 Did you know that he had come up with the logic and thought process behind the parachute? For his time he was an impossibly outstanding inventor... that would be if he had been supplied with the materials needed to make them. 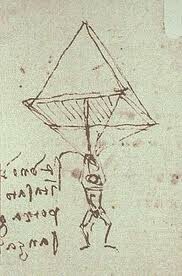 Leonardo had the idea and plans for the first parachute. It was pyramid shaped and is proven today that would defiantly have given a free falling human (example: sky diver) the ability to reach the ground smoothly and uninjured. 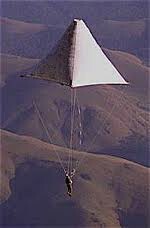 It all had to do with lift drag and gravity, the things that all make gliding through the air possible with a parachute. The person every kid should thank for making their child hood fantasies a reality is Leonardo de Vinci. Yes being able to breath under the water sounded like a fantasy to the people of the Renaissance but not to Leonardo. 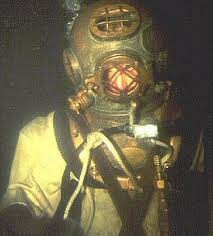 Could you imagine being under the water during a war and behind enemy lines on a mission to sink and enemy ship? That was the thought process behind Leonardo's diving suit. Then it was a far impossible idea but now it is an amazing tool that we enjoy immensely. All the thanks goes to Leonardo for his amazing idea of the power to breath under water.